If you have suffered a traumatic brain injury, and have suffered impairment in your ability to work, it is important for you to ascertain your chances for a claim under the Social Security disability benefits program. The Social Security Disability Insurance program is designed to provide benefits for people who are incapable of earning a sustainable income because of their impairment. 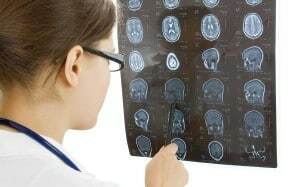 If you have suffered a traumatic brain injury, and are disabled and unable to work, speak to a Los Angeles Social Security disability lawyer for help filing a claim. Unfortunately, many claims are initially denied. In fact, the vast majority of disability benefits claims are denied at the initial stage. If your claim for benefits for TBI has been denied, don’t give up. Some persons simply give up hope, and either don’t bother filing an appeal, or file a new claim all over again- both of these are not the appropriate things to do in your situation. Remember, the Social Security Administration will require substantial proof of your medical condition, and specifically your impairment in order to approve your claim. If the agency finds that it does not have access to all of your medical records, then you may not have a favorable outcome. Provide all necessary medical evidence including medical records, doctor reports and other types of evidence. For help filing an appeal, talk to a Los Angeles disability benefits lawyer. File your appeal immediately. The claim must be filed within a period of 60 days for your appeal to be valid. Remember, that you may believe that you are disabled or impaired, but the Social Security Administration will consider only its own definition of disability. Speak to a Los Angeles Social Security disability benefits lawyer for help filing a claim for benefits. Remember, many persons who suffer from TBI are able to successfully recover benefits after an appeal.